In truth, most PR tactics don’t drive the same volume of traffic as advertising. However, visits to your site that do come from PR frequently provide a higher value than advertising leads, because they often come from earned media, which has been shown to play a greater role in influencing a purchase. For example, a visitor may have read an article about your company or written by someone at your company, as the result of an earned media placement. Even if they simply read your press release, they’re typically coming from a more informed position than someone who has only seen an ad. Alternately, they may have searched on a topic and discovered some of your content, such as a blog, white paper or report–these are high value visitors too, because they’re seeking your knowledge and expertise. Whatever the case, you’ve got them to your site, and you want them to stay awhile take a desired action. One of the metrics used to understand whether or not people are engaging with your site is “Bounce Rate”, or the number of visitors who leave your website after visiting a single page. If you’ve ever clicked through a link to a website from an ad, search or anywhere else, landed on one page and then left without checking out any other pages on a website, you have “bounced”. 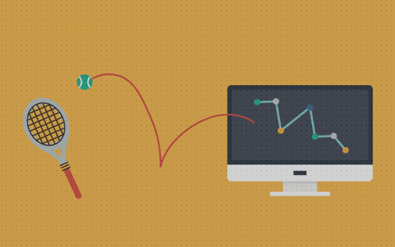 You probably already know how to determine your bounce rate, but just in case you don’t any kind of software that analyzes website traffic will provide you with metrics. There are plenty of great paid services out there such as SEMRush that provide robust information. However, Google Analytics actually may be the best source out there for gathering the raw data, and in fact, most of the web analytics tools on the market today integrate with and sometimes even derive some of their data from GA. So in most cases this is the best place to start, and fortunately Google provides a ton of free, user-friendly resources to guide you through getting started on the platform. Google Analytics calculates bounce rate by tallying the number of people who visit one page on your site and then leave, divided by the total number of visits to your site (or, the number of single-page “sessions” divided by the total number of sessions). Generally speaking, if you have a high bounce rate you can discern from this that there is something about your site that is causing people to leave, and high bounce rates are considered to typically not be a good thing. By themselves, bounce rates don’t tell you what the visitor is getting from the “bounce”. To be sure, not all bounces are created equal. While it’s typically considered undesirable for someone to visit only one page on your site and leave, there are instances where this might be entirely appropriate and expected. Blogs, for example, may have high bounce rates, because, hopefully, people are finding your blog online when they search for information on a particular topic. Typically these folks are at the top of the marketing funnel stage, and are just gathering information rather than looking to make an immediate purchase, so it’s expected that they might get the information from reading your blog that they need and then leave your site. This doesn’t mean that the site visit is a loss–if they read your article and learned from it, you’ve gained both awareness and credibility in their eyes. Your homepage, on the other hand, should not have a high bounce rate, because it’s main purpose is to direct you to other parts of the website where you can take some kind of action. Likewise, if a page is designed to facilitate a specific conversion–such as signing up for a demo, a bounce rate is not a good thing. Also, bounce rates in general tend to be higher for mobile than desktop, so keep that in mind when you’re analyzing this metric. If you’re worried about losing SEO ground, the folks at Google are getting pretty sophisticated, and a higher bounce rate on some pages won’t necessarily count against you, if it’s a page where a higher bounce rate is to be expected–in fact, it may not even be a direct ranking factor. The main takeaway is that you have to look at bounce rate on a page by page basis to really understand what’s going on. The wrong people are coming to your site. This could be because the content isn’t targeting the right audience. When you read through the content, think about the question that you are answering for the audience. Is it one that your target customer is liable to ask? Does the content satisfactorily answer that question? Another scenario is that you are sending too wide of an audience to your website content. If you’re talking about a blog, it may not really be that problematic, as long as the visitors are getting something out of it. But, if you’re employing a paid tactic, such as Outbrain or even press release distribution, it may mean that you’re playing for useless clicks. If this is the case, think about how you can alter your verbiage to filter out non-targeted visitors. With a blog, for instance, you might try adding in a phrase or word to the title that narrows the focus just a little bit, such as changing “The Challenges of Going to the Cloud” to “The Challenges of Moving Financial Services Applications to the Cloud”. Content is directing people to the wrong part of your website. If you are putting out content that is designed to drive general awareness of a problem (one that you solve) and bring them to the top of the sales funnel, and you’re directing them to a sign-up form, they may just turn around and leave. Generally speaking, gaited content is better for content designed to appeal to people who are more in the middle of the sales funnel, and are now conducting serious research. Likewise, this audience is probably not ready to push the “buy” button, so rather than hitting them with a strong sales pitch, consider directing them to areas of the website that provide more general information. In some cases this could be a product description, but if the most immediate goal is to drive awareness, you might even consider directing them to a blog post first. Your website turns them off. Nobody wants to hear that their baby is ugly, but sometimes there may be things about your website that are simply unappealing, visually or emotionally to your audience. Needless to say, if your design takes you back to the “good ole days” of the dot.com boom, there’s something wrong. But more commonly, the design is good, but it just doesn’t match the audience. If you’re selling mission critical software to a bank, does your design scream “we’re fun”, when it should scream “we’re dependable”? Additionally, you may want to get some outside perspective on how easy to navigate your site is–they could be leaving because they can’t make heads or tails of where to go next. The content is disappointing. This of course happens when a blog, for example, is poorly written or thin. But, it can also happen when the content is too salesy, or is just very thinly veiled marketing-speak that actually doesn’t provide any information beyond “you should buy our product”. If you’re inviting people to your site with the promise of educational content, ask yourself whether it’s really educational? If you were the site visitor, would this content aid you in making a decision? There’s no call to action. Of course, we all dream of the day when customers visit our website and take action because we’re clearly so wonderful. But, like most other things in life, if we want something good, we have to ask for it. In the case of a site visitor, it’s not enough just to have a “buy” button present–you need to think about what action is appropriate for that audience member at that particular stage. Typically blogs, press releases and earned media are targeting the top of the sales/marketing funnel, meaning that you’re really just making an audience aware of your product or service at a point when they’re very much in the self-education phase. Therefore, you don’t want to hammer them too much with sales jargon. That’s not to say they shouldn’t have the opportunity to purchase if they want–hopefully that’s accessible through every portion of your website. However, since their goal is probably just to gather information, it might be more effective to provide them with more information that is related to their research topic. So, you might decide to hyperlink various points in your article to other content on your site that provides related information, such as other blogs or very high level product overviews. If you have white papers, ebooks or more in-depth content on the same subject you might want to sidebar those so that visitors can easily link through. Another great tactic–which online magazines have elevated to an art form–involves suggesting additional interesting content at the end of the article, which continues the education process and builds on the knowledge they’ve gained from whatever it is they’re reading on your site.